The film was released on January 11 and since then it is leaving a lasting impression on everyone. 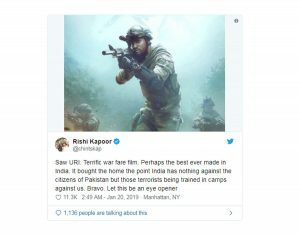 Uri: The Surgical Strike starring Vicky Kaushal and Yami Gautam is winning the hearts of the entertainment industry and audience. The film is going strong at the Box Office even as it entered the beginning of the second week. The film was released on January 11 and since then it is leaving a lasting impression on everyone. 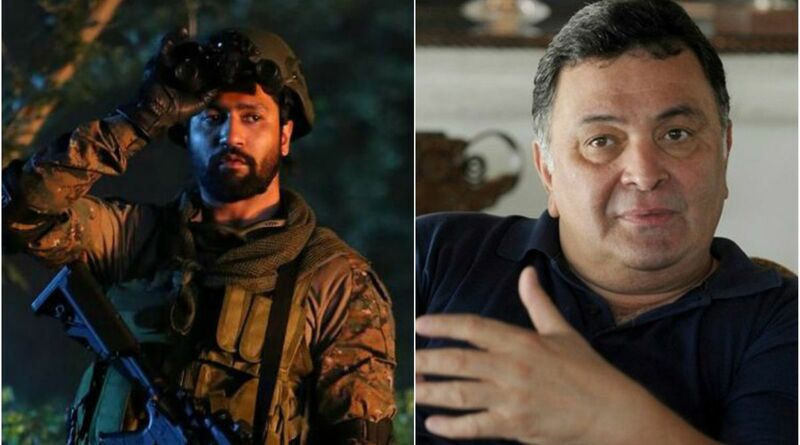 The latest celebrity who watched Uri is veteran actor Rishi Kapoor and has commended the team of Uri. 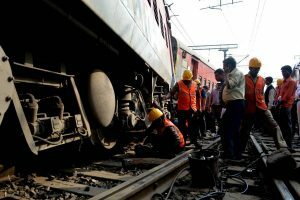 Not just that, even Prime Minister Narendra Modi has given thumbs up to the Aditya Dhar directorial. On Saturday, PM Modi inaugurated the National Museum of Indian Cinema in Mumbai and while addressing the film personalities, he asked them, ‘How’s the josh?’In response, the audience replied with ‘High Sir’. Uri: The Surgical Strike is based on the surgical strikes which were carried out by the Indian Army in November 2016. Besides Vicky Kaushal, the film also features Yami Gautam, Paresh Rawal, Kirti Kulhari, and debutante Mohit Raina. The film has been directed by Aditya Dhar and produced by Ronnie Screwvala.